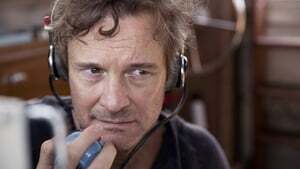 Donald Crowhurst (Colin Firth), entrepreneur Donald Crowhurst (Colin Firth), has not had the hoped-for success with a self-developed radio-boring device, and his now-indebted company casts doubt on how he can bring his family of five to bear in the future. When he learns that the newspaper “Sunday Times” is organizing a one-handed racing around the world, he wants to participate and hopes to financially and financially rebuild his company from the prize money and fame. Crowhurst logs in, but his wife Clare (Amy Loughton) is surprised and worried about his plan. Although he has only experience as a recreational skipper, he can convince Mr. Best (Ken Stott), who had already invested in his company.